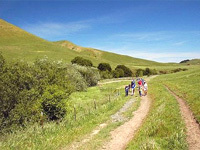 Families are invited to join us in exploring the beauty of Lynch Canyon Open Space Park. This month we will be hiking while creating nature-themed Mad Libs stories! Meet in the parking lot at 9:45. The hike is free and for kids of all ages. Parking is $6 (we are not able to make change). Be sure to bring snacks and plenty of water. Preregistration recommended online. 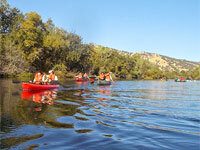 Celebrate spring with a guided canoe tour at Lake Solano Park! 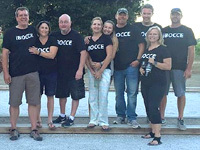 This canoe adventure is from 8:15 AM - 10:30 AM and will be led by volunteer docent Linda Allison. Discover the wonders of Putah Creek through exploration, relaxation, and education. The tour is an opportunity to learn about life along the river and the special riparian forest that grows along its banks. The guided trip is limited to 14 guests. Children age 8 and older are welcome if accompanied by an adult. There will be a basic safety and paddling discussion before beginning. Canoes, paddles, and lifejackets will be provided free of charge. Participants may want to bring water, a hat, sunglasses, and sunscreen. You may get wet, so a change of clothes is recommended! Reservations are required. For more information or to register, click here. For questions in advance, contact Karin by email or (530) 795-3006. 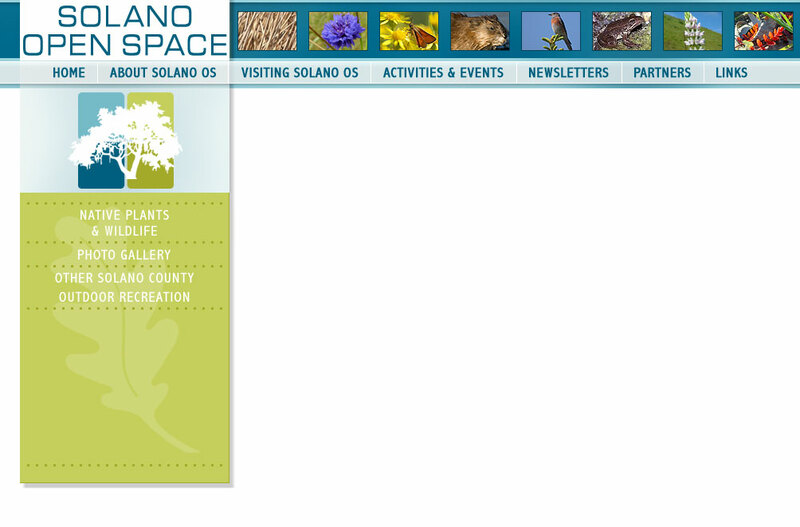 DIRECTIONS: Lake Solano Park straddles Pleasants Valley Road, north of Vacaville and near the town of Winters. Pay the $6 parking fee and park on the east-side of Pleasants Valley Rd. Solano Land Trust and Solano County Parks invite you and your family to celebrate Earth Day weekend by helpinging to remove litter along Grizzly Island Road. 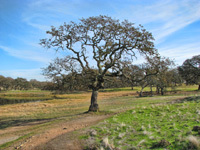 This is the main road that serves as a scenic drive leading visitors into Suisun Marsh, and to destinations like Belden’s Landing and Rush Ranch Open Space. Removing litter along this road is especially important, as trash can be dangerous to the fragile health of the marsh and to the critters that live there. Meet at the Rush Ranch parking lot. After the cleanup, you are invited to join in on Get the Rush! activities. 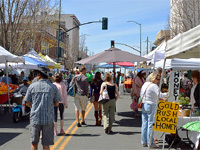 Free fun for the family on Earth Day, which will take place at the Vallejo Farmers Market on Georgia Street at Marin. 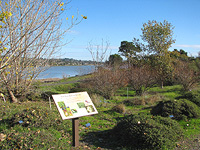 Jugglers, face painting, music, Loma Vista Farm Animals to pet, and the Vallejo Watershed Alliance touch tanks of “Critters of Lake Chabot.” Stop by the Vallejo Flood & Wastewater booth for information on less-toxic garden solutions (bring your old mercury fever thermometer and they’ll exchange it for a new digital model). Join us! And if you’d like to help out at the Alliance table, we’d love to have you, just let us know at info@VallejoWatershedAlliance.org. The Rockville Trail Crew volunteer work days are scheduled for the third Saturday of every month from 9-12noon, rain or shine! Trail Crew volunteers provide technical assistance with trail maintenance and construction activities on the trails. Trail Crew volunteer duties consist of clearing rocks, trees, brush and other debris from proposed trail routes; build/repair walk ways, bridges or other structures; grade/fill existing trail paths to ensure user safety; and attend all required meetings and training sessions. Volunteers should bring water, gloves and a tool if available. 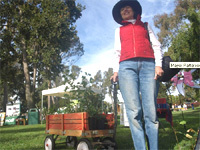 Volunteers should wear layered clothing and sturdy shoes. A snack and beverage provided for volunteers. Meet at the parking area. 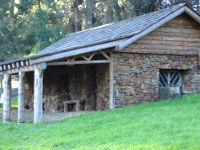 If you are not a regular volunteer, please RSVP to Ranger Teri, (707) 249-3613, or by email. This easy, family friendly hike will take place at Rockville Trails Preserve. Barbara Fredericks will lead some warm up stretches and a yoga session later on. 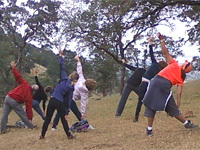 Participants can enjoy the sun on their face and the wind in their hair while they do yoga. RSVP recommended online. This property is closed to the public. Free. DIRECTIONS: Meet at Icehouse at the corner of Rockville Rd. & Suisun Valley Rd. 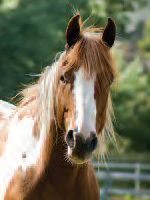 For ages 8-17 -- Learn about the friendly horses and goats, and participate in their daily care. Wear sturdy work clothes and tough shoes because this is a "hand-on" experience. You will put a halter on a horse, learn to lead horses safely, brush them, clean their feet and clean their stalls. Everyone will have a chance to sit on a horse (helmet are required and provided, keep hairstyle simple for easy fit). Eat a good breakfast, bring water bottle and wear layers. For more information contact the Coordinator at 648-4552. 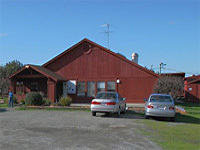 DIRECTIONS: McIntyre Ranch, located at the very end of St. John’s Mine Road, across from the Solano Community College Vallejo Center at 545 Columbus Parkway. Take St. John’s Mine Road and cross over the cattle crossing. Continue up the road and stay to the right to follow the road down to the barn. You are authorized to drive through this road for GVRD programs only. Get the Rush is a series of fun and free activities for the whole family, offered on the third Saturday of every month at Rush Ranch. All ages and mobility levels are welcome! This event is 100% volunteer-run and activities vary month-to-month. Get the Rush! 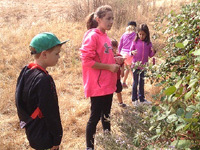 is made possible by Rush Ranch Educational Council, Access Adventure, Napa-Solano Audubon Society, and Solano Land Trust volunteers. The blacksmith shop is open rain or shine. Rain, soil conditions, or extreme heat may cancel other activities. 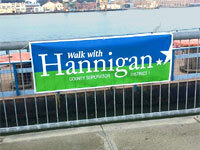 The 2 mile loop walk begins at the very end of 1st street on the ﬁshing pier. 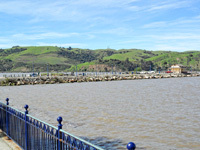 We will head through downtown and along the way pass local landmarks, learn more about the former industries that were located here and hear about Jack London’s time spent in Benicia. 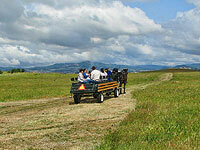 Will also learn about the regional recreational trails which are located along Carquinez Straits. Free parking available close to where we start. Bring sturdy shoes, water, a hat, sunscreen and a snack. No pets. Rain cancels. Preregister by April 12. RSVP to Doug by email or 925-366-9612. DIRECTIONS: Meet at the end of 1st street on the ﬁshing pier close to the public restrooms. 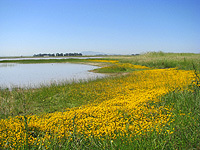 Join the Suisun Wildlife Center to celebrate Earth Day with wildlife shows and a barbecue! From 12-3 pm April 20, 2019, enjoy and welcome Spring. Come to the Suisun Wildlife Center at 1171 Kellogg St, Suisun City, and bring your cameras for this family friendly event! For more information, call the Wildlife Center at: (707) 429-4295 (HAWK) 9am – 6pm, Mon.- Sun. 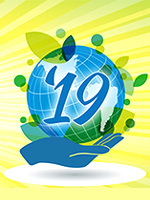 Solano Land Trust and Solano County Parks invite you and your family to celebrate Earth Day weekend by helpinging to remove litter along McGary Rd. towards Lynch Canyon. 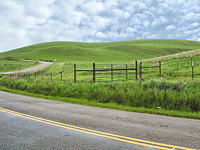 This is the main road that serves as a scenic drive leading visitors into Lynch Canyon Open Space. Removing litter along this road is especially important. Adult Volunteers are recommended for this particular site, due to safety issues along the main road. Children and their families have always had a blast collecting not Easter eggs, but golf balls that have flown over from the Mare Island Golf Club in their baskets. Kids return the balls to us in trade for a bag of Easter treats. Rest assured, we’ve learned that the most fun for them is the collecting. The Hunt takes place in the mowed field near our visitor center. 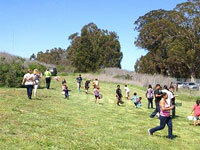 Just like our wildlands Preserve on Mare Island, nothing ordinary about this Easter event! Feel free to plan to have an Easter picnic before or after in one of our picnic areas or at the visitor center with plenty of tables and chairs and a propane grill. Help us keep events like this and our park free by donating what you can. DIRECTIONS: Preserve Visitor Center, Building A-167, at the end of Azuar Dr. 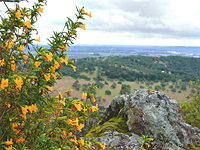 Celebrate Earth Day by exploring the hills between Suisun Valley and Green Valley, and enjoying the sweeping views of Solano County and beyond. Moderate to Strenuous, 4-6 miles, rain cancels, 9am-1pm. Residents and visitors are encouraged to take advantage of this opportunity for a docent-led hike because Rockville Trails Preserve is otherwise closed. Pre-registration is recommended online. DIRECTIONS: Meet promptly at the big red "Ice House" building on Suisun Valley Ct, near the intersection of Rockville Rd and Suisun Valley Rd, Fairfield, CA. Be ready to immediately carpool or caravan from there to the trailhead. 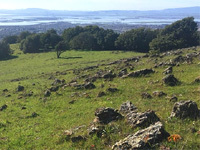 Come explore the hills between Fairfield, Benicia, and Vallejo! 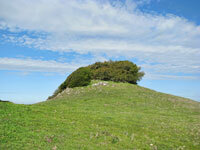 You'll be led by expert Solano Land Trust guides who know this area—known as the King-Swett Ranches—inside out. 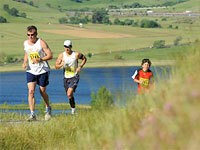 They'll share insights about the wildlife and spring flowers in this area, and give you a great workout! Take advantage of this special opportunity if you can because the King-Swett Ranches are otherwise closed. Bring: a backpack with plenty of water and snacks, boots or sturdy closed-toe shoes with tread for rugged, steep, and slippery off-trail terrain, long, sturdy pants and layered clothes that you don't mind getting dirty, protection from the elements (sun, wind, fog, rain). Recommended: binoculars, camera, bug repellent, hiking sticks, gaiters. Participants of all ages are welcome, but they must be prepared: a strenuous pace hiking up to 6 miles off-trail, up and down rugged, steep, and slippery hills that are full of sticky seeds, thorny plants, and thistle. 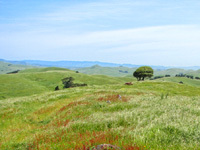 The King-Swett Ranches are working ranches—cattle are free range so they roam as they please. 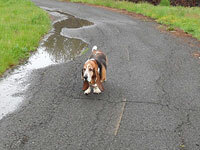 Only heavy rain cancels—call Jim at 707-373-1221 if the weather is uncertain. Space is limited and registration is recommended. For more information or to register, visit us online. DIRECTIONS: Meet promptly at the Park-and-Ride lot where McGary Road, Hiddenbrooke Parkway, and American Canyon Road intersect (on the Hiddenbrooke side of the American Canyon/Hiddenbrooke Parkway exit, off Interstate 80). Be ready to carpool or caravan from there. All you need to bring are your kites and kids to enjoy the annual kite festival from noon to 4P. It’s a family-friendly event, and kids of all ages and ability levels are welcome. The festival and parking are free. 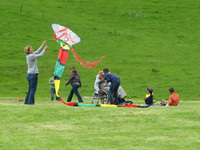 Bring a picnic lunch to enjoy while watching dancing kites. No dogs allowed. If you have questions, contact us by email or at 707.432-0150. Rain cancels. Come enjoy a day of learning to shoot shotguns, rifles and archery from trained, certified instructors at Grizzly Ranch in Suisun Marsh (near Fairfield). At all stations, emphasis will be placed on how to safely handle, load, and discharge a firearm or bow in a safe and welcoming environment. 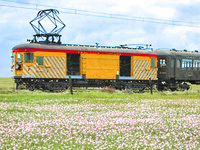 All stations are optional, shoot as much or as little as you want! All guns, ammunition, targets, ear and eye protection are included at the beginner stations, just sign up and show up. For those who are experienced shotgunners, bring your own gun and non-lead ammo and try out the challenging sporting clays course of 50 or 100 targets. This event will include wild-game tasting, lunch and networking opportunities to meet and talk with other lady shooters. For more information or to register, click here. DIRECTIONS: Turn onto Grizzly Island Rd from Highway 12 in Suisun City. After 5.4 miles, you will fork right and cross Montezuma Slough Rd. After 3.3 miles turn right onto Van Sickle Rd. (Note: you should see a white fence) After 0.4 miles turn right into Grizzly Ranch. In 0.7 miles, you will arrive at the Ranch. 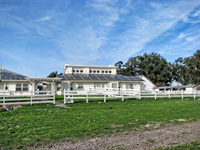 Ages 4-14 -- The McIntyre Ranch is home to several different habitats, farm animals and an educational garden. Studies have found that children who spend time exploring nature are more focused and interested in school. Bring a snack, water and your curiosity! Pre-registration is required at 395 Amador St. or online. For more information contact the Coordinator at 707-639-1325.